For the last three days I have discussed the Emerging Futuristic Technological Trends and its Implications on International Security. Today I shall dwell upon Military Implications of Emerging Technologies. In the civilian world it is clear that the fourth industrial revolution is upon us. Previous industrial revolutions, led by technological inventions such as the steam engine, mechanisation and computers, all took decades or even centuries to develop and realise. But the fourth industrial revolution is unique in its speed and scale, in that a whole range of emerging technologies – cyber, artificial intelligence (AI), data analytics, robotics – they are all being developed, iterated and improved on all in the space of a few years. The resultant impact and disruption will be enormous. The emerging technologies of the fourth industrial revolution will also have an impact on the military. Just as the third industrial revolution of computers in the 1980s and 1990s led to a revolution in military affairs, with concepts such as network centric warfare and precision strike, with the fourth industrial revolution we are on the cusp of another revolution in military affairs, one that will leverage on cyber, AI, big data and robotics. While the full implications of this revolution are still unclear, we are beginning to see how we can apply these new technologies in defence. Emerging technologies have the potential to be game-changers – game-changers in changing the balance of power, military doctrine, the character of conflict and the way people and nations fight. However, a considerable degree of uncertainty exists about the promised utility of some of these technologies, about the timelines involved until they might become available and the cost that will be incurred in integrating them into the armed forces. Technology is now evolving far faster than the military procurement process. We need to change our process or we are going to fall behind in the use of technology as applied to conflicts. We need to understand how to embrace technology. Most of the innovation occurs in the private sector, not in government. That means that defence and intelligence communities have to be better customers and better partners with private industry. If we make it too difficult, too bureaucratic, too rigid to deal with government, more and more companies will simply say, ‘I do not need that. I will just deal with the commercial market and avoid the hassle’. Armed forces will not be able to utilise these innovations, at least in the early stages. If technology is changing that quickly and we do not have the processes to adapt at that rate, we will inevitably be fielding technology that is out of date at the time it is fielded. We have to adjust our processes and organisations to reflect that pace of change. Armed forces have to change the decision making process to reflect change on that pace. We have to be able to recognise a new technology for good or ill and adjust quickly. We do not have the luxury of studying for years. It is not the acquisition process that has to be adjusted; it is the whole decision making process that must operate at the pace of change. The technologies, the methods, the processes, the decision-making must keep up with a pace of change, but there are some fundamental principles which have benefited us all that we need to make sure are continued even though the methods are different than they have been in the past. Everyday technology can be turned to malevolent use. There is a need to think about the evolution of everyday objects into things which will do us harm. The balance between the high cost of procurement and the high cost of equipment and the low cost of being able to turn everyday objects or indeed older weapons to use, has been brought out amply clearly in some recent campaigns. Highly sophisticated, expensive missiles were being used to defeat snipers. The cost equation balance is extremely disadvantageous to state actors as it is in many other sub-state conflicts. The skills necessary and the processes by which human skills are employed in the militaries has to change. .As technology advances, it becomes more complex and it requires people with a technical background or engineering background to understand the complexity of it. However, these people are typically more enamoured with the technology itself rather than the policy issues. Then conversely, on the other side, the people who are dealing with the policy, whenever you start speaking anything that is remotely technical, their eyes begin to glaze over. It is for the policy people to come and get their hands dirty and understand the technology, because the technology is going to affect policy decision making at the high operational and the strategic level and we cannot make these kinds of policy level decisions, unless we understand the technology and what it begins to mean to us. With the development of motion learning, deep learning, big data, cloud computing and the Internet of Things (IoT), AI is resting at the centre of the coming technological, industrial and military revolution. AI has been widely used in embedded fields. Intelligent sensors and wearable equipment may help improve information collection and sharing. 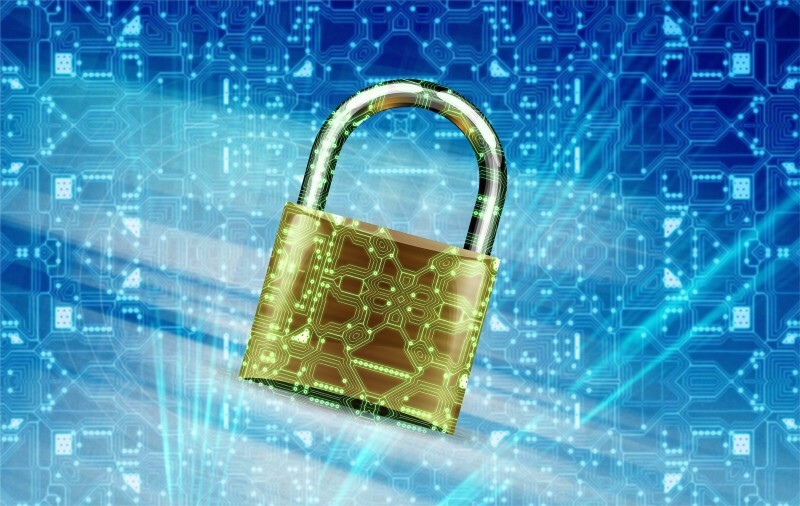 Cloud computing and big-data analysis can be used in cyber detection and attribution. More than 70 countries have the ability to develop unmanned vehicles, drones and ships, and the robot warriors will be in service maybe in the near future. AI will make war more precise, more cruel and the strike action quicker. 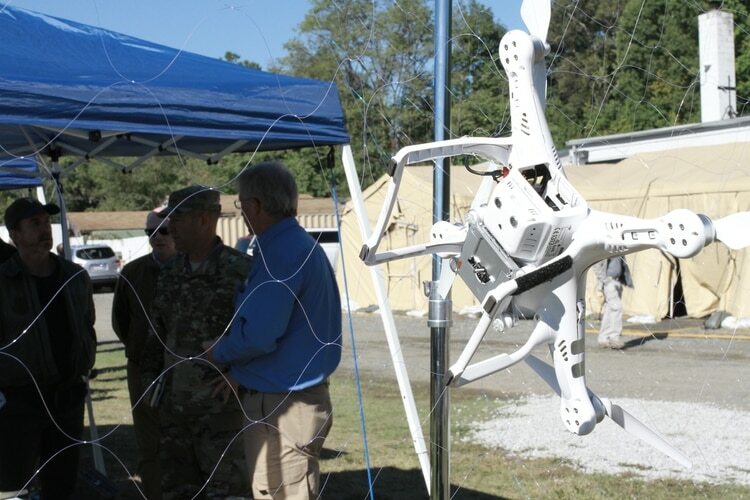 The unmanned system will be used by states to reduce their military priorities. But the civilian collective priorities may not be guaranteed when the terrorist is hiding among them. A significant area of application is the use of artificial intelligence and data analytics in counter terrorism operations. One of the biggest problems in dealing with the terrorist threat is that it is often like searching for a needle in a haystack. AI and data analytics will certainly help in finding the needle. Another example of how the fourth industrial revolution can transform the military is in the area of logistics, Much has been said about how companies such as Amazon use AI, data analytics and robotics to streamline processes in their warehouses, which translates into economic advantage. But these technologies can also be applied in the military. The processes in an air base or a naval base or in a forward deployed base, many are related to logistics. Regardless of whether you are managing books or boxes or bullets and bombs, AI and data analytics will help to manage inventory more efficiently and effectively. Because of the coexistence of the man in the loop and the man out of the loop, it is difficult to hunt down those responsible for the faulty missions. For example, those responsible for human terror and disaster caused by drones may involve the pilot, the computer programmer, the procurement officer and the commander, and so on. Therefore, it is more difficult to find those responsible for AI mistakes, the human mistakes. Meanwhile, owing to the spread of low-cost, low-threshold information and communication technologies (ICT), terrorists could exploit AI and its weakness to launch an attack. In an increasingly interconnected and globalised world, we are facing more and more risks of miscalculation, misjudgement and misperception. For instance, a cyber attack by using AI technology can damage critical infrastructure and industrial control systems. If a nuclear weapon’s control system is hacked by AI, it may cause even greater disaster. It will be more and more difficult to pursue security for one country alone. Big powers and the technologically advanced countries should take on more responsibilities to discuss and assess the common challenges in the medium and the long term. The technologically advanced countries should contribute more with AI technology to fight against the terrorism, transnational crime, disaster early warning and human terror assistance missions. The international community should cast more concern on retroactive liability for AI weapon abuse, trying to reach a consensus on international law enforcement. Ethics. The law of armed conflict holds individuals responsible for the decisions they make. If it is a robot that kills somebody mistakenly, who do you hold responsible for it? We have enormous challenges in trying to have cyber policies keep up with the pace of change of the cyber threat and cyber capabilities. It is absolutely a challenge for policymakers to have policies, the ethics of policies, that keep up with the degree and the magnitude of technological change. Culture. Emerging Technologies will change the way the military operates. Some of the changes will be culturally challenging. There was some resistance in the US to airplanes without pilots because it was so counter cultural, and some of the change was delayed because it is not the way we have traditionally operated.There are issues between macho Rayban wearing fighter pilots and drone pilots seating in an air conditioned cubicle far from area of operations. The intellectual development and ethical education of all members of the military will be more important as decision making becomes more widely distributed and as decisions are made at a lower level in the chain of command. Every domain of life will be challenged. What is law enforcement, what is military, what is civilian, what is not, is going to be contested. Recently voting systems in a variety of countries have been challenged. Healthcare systems in countries that were delayed or shut down and those were cyber-connected. As the government process is slower and slower with technology going faster and faster, I the political pressure is going to be for more and more executive action, more and more quick decisions, not coming through a democratic process, but coming from either a dictatorial authoritarian type of situation. In addition to raising the issue of whether we are going to have autonomous decision making with the robotics taking charge, the question is: is Congress, democracy, becoming obsolete in the nano world in which we are living? The emerging technologies of the fourth industrial revolution offer great opportunities for countries to enhance their defences against critical threats such as terrorism. However, to fully realise the potential of these technologies militaries must change how they think, how they operate, train, force structure and develop capabilities. Even as we do so, we must be cognisant of the new vulnerabilities that are created by a reliance on these technologies. We must create new structures to defend ourselves against these new emerging threats that can exploit those vulnerabilities. Geopolitical imperatives generated by China’s aggressive bid for global dominance in 2017 has prodded the United States to make the game changing offer of transforming the US-India Strategic Partnership into a dynamic predominantly security-centric relationship catering for Indo Pacific security. Both in terms of content and also in terms of timing, US Secretary of State Rex Tiller son’s address at the US think tank CSIS last week were strategically meaningful. Detailed coverage of this game-changing shift in US policies can be accessed on media websites. As U.S. Secretary of State Rex Tillerson heads to Pakistan on Tuesday to pressure Islamabad to act over militants targeting Afghanistan from its soil, anxious Pakistanis may be equally interested in dissuading Washington’s deepening ties with India.U.S. Secretary of State Rex Tillerson speaks at the U.S. embassy in Riyadh, Saudi Arabia, October 22, 2017. Nuclear-armed Pakistan, a staunch U.S. Cold War ally and key player in the U.S.-backed invasion of Afghanistan after the Sept. 11, 2001 attacks on the United States, has watched warily as Washington has in recent years pivoted towards its arch-foe. Who Controls America's China Policy? Robert Lighthizer, the recently appointed U.S. trade representative, has one year to investigate allegations against China for unfair trading practices. This is widely acknowledged as the Trump administration’s most important step taken to implement its trade agenda. The investigation represents more than a new direction in our economic and foreign policy: It’s also part of the latest shift in an ongoing jockey between business, military, and political leaders for national pre-eminence in these matters. From January to September, Asia’s largest economy exported $2.55 billion in value to the pariah state, the data showed, according to Reuters. Imports from North Korea during that nine-month period actually fell 16.7 percent, according to the data, and so the total trade figure only saw a 3.7 percent increase, Reuters said. Indeed, it seems the government was the last to admit as much. In June, the Institute of International Finance published data indicating that China’s debt-to-GDP ratio had reached 304 percent. In July, Moody’s downgraded its view of the Chinese banking system from stable to negative. In September, Standard & Poor’s downgraded China’s sovereign debt rating because China was not deleveraging as quickly as expected. Then in October, the International Monetary Fund released a report that identified China’s financial system as having “elevated financial stability risks,” the implications of which could be global. Clearly there is more than meets the eye in China’s positive economic performance in 2017. In the Xi decade, Chinese transition to the post-industrial society will accelerate, despite the new normal in the world economy. As the 19th National Congress of the Communist Party of China opened in Beijing, General Secretary Xi Jinping delivered a report about “building a moderately prosperous society" for a new era. Most discussions about the North Korea nuclear threat focus on the risk of conflict between the U.S. and North Korea. Serious as that is, an even more important issue is what the crisis will mean for the U.S. and China – the world’s most consequential relationship. Great risk and great opportunity abound. Will the 21st century be defined by great power war or peace? By prosperity or poverty? “When the fighting breaks out between Arabs and Kurds, whose side will the Americans be on?” This was the message that Masoud Barzani, the president of the Kurdistan Regional Government and leader of the Kurdistan Democratic party (KDP), instructed his chief of staff to have me convey to senior U.S. officials in Baghdad in 2010. I was serving as the political adviser to General Raymond T. Odierno, the commander of U.S. forces in Iraq. Nuri al-Maliki, then the prime minister of Iraq, and Barzani, concerned by rising tensions between Arabs and Kurds ahead of the 2010 national elections in Nineveh province, had asked General Odierno for help in preventing conflict. We had devised a system of joint check points to facilitate cooperation between the Iraqi Security Forces, the Kurdish Peshmerga, and the U.S. forces, and to ensure all forces remained focused on defeating al-Qaeda in Iraq. Raqqa has crumbled far more quickly than anyone imagined. In just over four months, the Syrian Democratic Forces (SDF), with Western air support, have liberated most of the city from Islamic State (IS). The de facto capital of the so-called caliphate, Raqqa was tightly controlled by its rulers, but it was a bustling hub of activity and urban life. For the hordes of foreign fighters who joined IS, it was almost enough to make them forget the virtues of the afterlife. U.S. President Donald Trump made it clear last week that he is close to withdrawing from the Iran accord unless Iran agrees to make changes. His chances for success are slim - and his blustering risks a dangerous escalation. “We fight tonight,” Zakey Kamaal, a Turkmen Shiite with salt-and-pepper hair, told me on Oct. 15. He was dressed all in black to commemorate the killing of Imam Hussein, the 7th-century religious leader whom Shiites consider the rightful leader of the Muslim community, and spoke calmly and with authority. The Russian military hackers behind last year’s election meddling are using an upcoming cyber warfare conference in Washington D.C. as a lure to infect a new crop of victims with malware, security researchers said Sunday, effectively turning a high-level gathering packed with NATO and U.S. military cyber defenders into an opportunity for more attacks. Despite the inherent and unique challenges cyberspace poses independent of physical domains, members of the Senate Armed Services Committee continued to lament the lack of any defined policy or strategy. During an Oct. 19 hearing, members of the committee chastised the Defense Department’s witness given that after several years of working the problem, the answer to how the department may respond to actors or incidents is essentially: it depends. Transparency about data usage is an important aspect of data protection. However, policymakers need to understand how technology changes occur and create a policy which is possible to implement for large and small businesses.Over the last couple of years, the idea that India needs a data protection policy has gained momentum. The recent supreme court judgement declaring privacy a fundamental right has only made the calls for a data protection policy stronger. Much like how a disease builds a resistance to drugs over time, the drone problem, especially in U.S. Central Command’s area of operation, is one that is constantly morphing. According to a Defense Department organization tasked with combating the threat of unmanned aircraft systems, there is no single solution for every drone problem that friendly forces face when fighting the Islamic State group or any other enemy who can acquire cheap, commercially available drones.